Prominent immigration activist and former journalist Jose Antonio Vargas has been detained at McAllen-Miller International Airport. 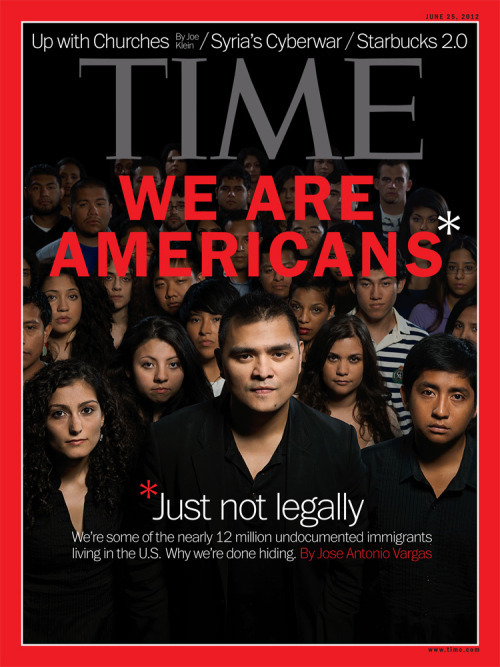 Since revealing his undocumented status in a 2011 essay for the New York Times, Vargas became the face of the immigration movement, appearing on the cover of TIME in 2012 and releasing a film, "Documented," that aired on CNN. "I feel stupid," Vargas wrote in a text message sent over the weekend to Washington Post reporter Ernesto Londoño. "I've been traveling around the country, visiting 43 states in like 3 years, and I've been flying using my Philippine passport. But I've never been to the Texas border area. I just figured I could use the passport. But apparently I can't because border patrol agents check foreign passports." South Texas newspaper The Monitor obtained a video showing Vargas being questioned at the airport, and reports that the Minority Affairs Council is holding a peaceful protest across the street to support Vargas.